The team started off the week by going through the piles and piles of unused lab materials in Bindley and collecting free supplies! We continued the bacterial preservation protocol and started a graph to track progress each day. Finally, we digested Lambda DNA, PSB 1C3, and gBlock 3. 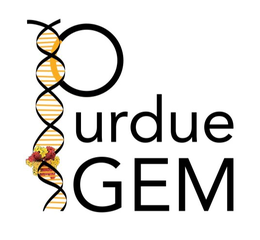 On Tuesday, we contacted a couple of other iGEM teams about Skype calls and potential collaborations. We came into lab with a message from Team Peshawar on Facebook. As they are a newer team, they wanted to connect with us in July when they get into lab and find out about our team’s schedule and progress. We also messaged Team Toulouse about setting up a Skype call and collaborating to obtain replicates of our experiments to get larger volumes of data. We also contacted the local fire department about setting up a human practices meeting. Additionally, in the afternoon, we had a conference call with the Indiana State Department of Health Tobacco Use Prevention and Cessation Commission, in which we determined that our project would not be widely accepted in a public health setting, but may be more appropriate through a clinical perspective. In the wet lab, we performed RFP, GFP, and pGEM transformations, minipreps on gBlock 3, gel extractions, and continued working through the daily testing for the bacterial preservation assay. Wednesday, we acted on the Tobacco Use Prevention and Cessation Commission’s advice and contacted the IU Health and Franciscan Health Centers to talk about our product’s applications in the clinical setting. Additionally, we asked Imagination Station, the local children’s science museum about setting up a public engagement event. We are also hoping to shoot for the stars, as we began looking into the potential application of our project to space travel! In the wet lab, we continued the preservation assays, miniprepped gBlock 3 and GFPs, prepared a digestion on gBlocks 1-3 and GFP, ran gels on gBlocks 1-3 and a GFP transformation, and inoculated transformed colonies. We also updated our mathematical model to be more sensitive to changes of enzyme concentrations within a small time step. On Thursday, we continued the preservation assay and performed gel extractions on gBlocks 1-3 and minipreps on gBlocks 3-6 and an RFP transformations. We also ran a gel on gBlocks 2-6, which was imaged and the proper bands excised. At the end of the day, we had our weekly meeting with our PIs. Friday consisted of continuing the preservation assay, running a gel on gBlocks 1-3 and GFP digestions, testing the nebulizer for the first time, digesting pGEM plasmids, miniprepping gBlock 1, and performing a gel extraction. We also changed the mathematical model method of numerical integration. Over the weekend, another gel was run on gBlock 1 and the correct bands were excised.